​terrific turn from star Meryl Streep. 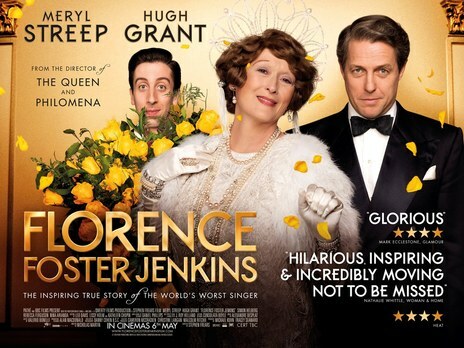 In the 1940s, New York socialite Florence Foster Jenkins (Meryl Streep) dreams of becoming a great opera singer. Unfortunately, her ambition far exceeds her talent. The voice Florence hears in her head is beautiful, but to everyone else it is quite lousy. 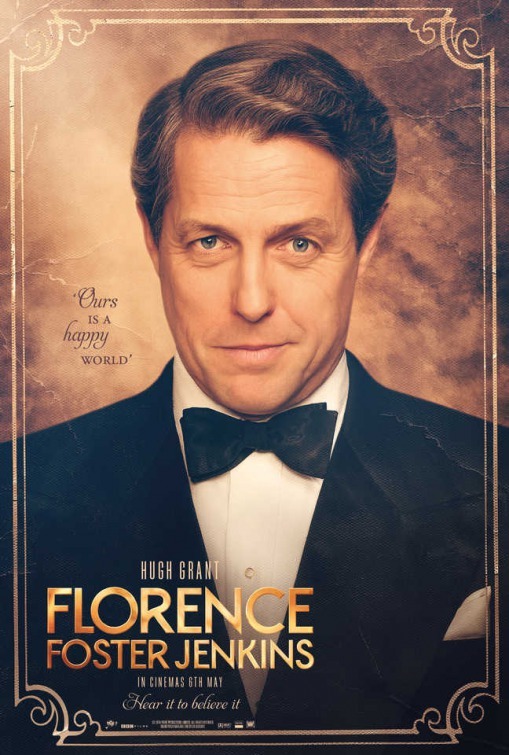 Her husband St. Clair Hugh Grant) goes to extreme lengths to make sure his wife never finds out how awful she truly is. 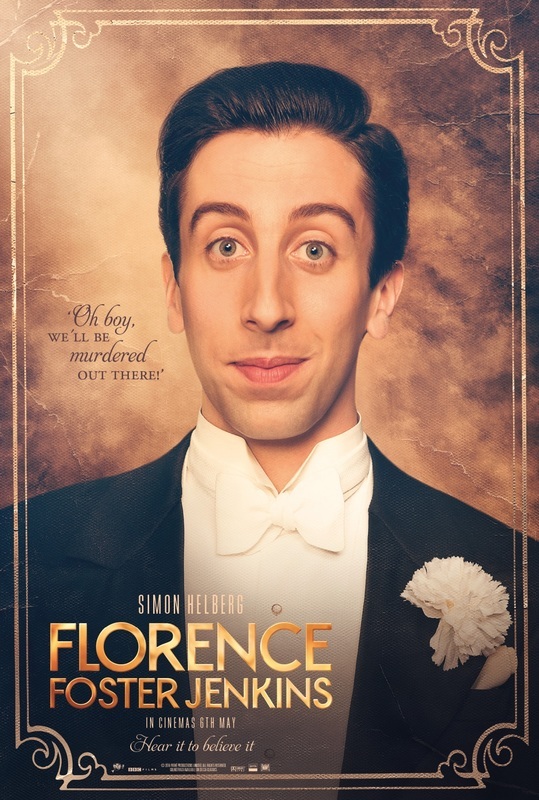 When Florence announces her plans for a concert at Carnegie Hall, St. Clair soon realizes that he's facing his greatest challenge yet. 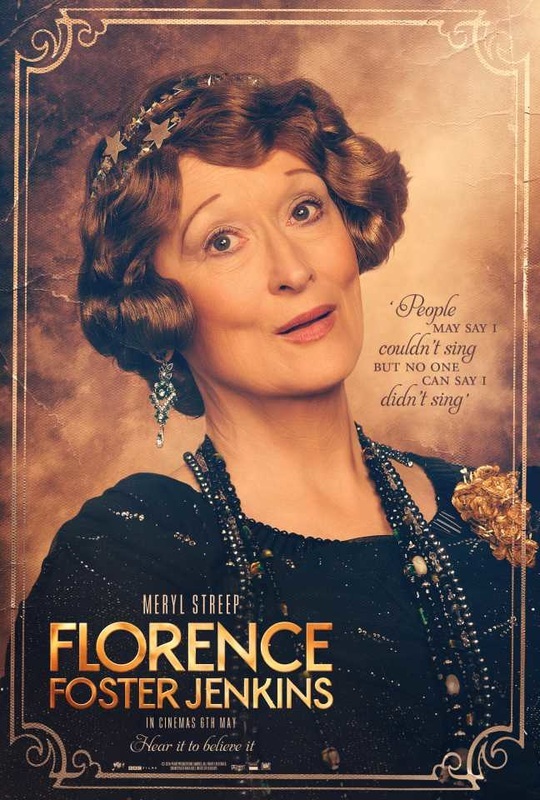 "Florence Foster Jenkins is a wonderful and strange period comedy, where Meryl Streep once again raises all material at hand and steals your heart." "Streep is right there, solidly invested in the folly of Florence's dreams. When she declares that 'music has been, and is, my life,' you believe her." ​"Stephen Frears elicits a remarkably tender and mature performance from Hugh Grant as St. Clair Bayfield, the two-bit Shakespearean actor who became Jenkins's longtime companion and musical enabler." "The best thing Grant has done since Four Weddings and a Funeral."